The much-anticipated announcement of those tasked with leading the Government’s Royal Commission into Aged Care Quality and Safety, and the Terms of Reference they will focus on throughout their investigations, has been made in Sydney today by Prime Minister Scott Morrison. The Honourable Justice Joseph McGrath and Lynelle Briggs AO were recommended by the Morrison Government to be appointed to the role of Royal Commissioner, with PM Morrison saying they both bring “strong investigative skills and extensive experience in corporate and public sector governance” to the Commission. Justice McGrath has a background as Judge of the Supreme Court of Western Australia, as well as a prior appointment as the Western Australian Director of Public Prosecutions and Senior Assistant Director at the Commonwealth Department of Public Prosecutions; while Ms Briggs has held positions as Chief Executive Officer (CEO) of Medicare Australia, and Australian Public Service Commissioner. Ms Briggs is also leading the Government’s review of the Online Safety Act, and holds the position of non-executive director of Maritime Super and Goodstart Early Learning. She is a member of the Aid Governance Board for the Department of Foreign Affairs and Trade, as well as being chair of the General Insurance Code Governance Committee. PM Morrison says the announced Terms of Reference for the Royal Commission are the result of more than 5,000 submissions, four national roundtables and consultation with medical and aged care professions. 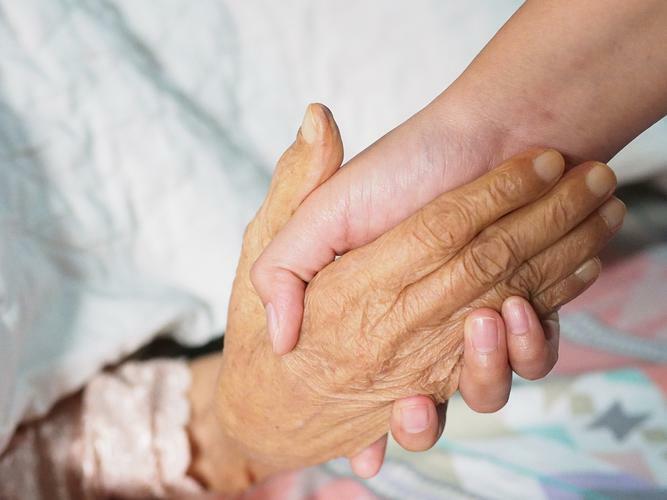 Aged Care peak body Leading Age Services Australia (LASA) has welcomed the Prime Minister’s announcement of the Terms of Reference and appointment of Commissioners for the planned Royal Commission into Aged Care Quality and Safety. LASA CEO Sean Rooney says the Terms of Reference reflect the views of LASA’s Members that the Royal Commission needs to focus on making Australia’s aged care system better. “LASA strongly asserted that the Royal Commission have a clear outcome to direct its focus and effort on ensuring Australia has a high performing, respected and sustainable aged care system that delivers accessible, affordable, quality care and services for all older Australians,” he says. “[We] believe the Terms of Reference provide for this outcome. “LASA also welcomes the Terms of Reference recognition of the importance of building a national culture of respect for ageing and older persons. Mr Rooney also adds that the Terms of Reference also demonstrate “a commitment” to relationship-based, person-centred care, whilst also providing scope to consider the many positive examples of high quality care delivered by thousands of dedicated people, volunteers and families every day. Australia-wide advocacy group National Seniors has also welcomed the announcements, with Acting CEO Professor John McCallum saying the Terms of Reference are “sufficiently broad” to capture the key issues of neglect and abuse that prompted the Royal Commission. He adds that it is clear that the Royal Commission has a “big job on its hands”, given the timeframe for its final report was 30 April 2020. “The Commission will cover care for people in aged care facilities, in-home care services and care for young Australians with disabilities living in residential aged care,” Professor McCallum says. “It will inquire into all forms of Commonwealth-funded aged care, wherever they are delivered and it is required to determine the full extent of the problems in aged care and how best to ensure accessible, affordable and high quality aged care is provided now and in the future. “It is also required to look at the causes of any systemic failures and the actions that should be taken in response. “This is a comprehensive brief and one that will provide some challenges. But we believe it is achievable. PM Morrison says the Government, through the Royal Commission, wants to “ensure” Australians have access to the level of care and support each person would expect for themselves. “A key task of the Royal Commission will be to help build a national culture of respect for ageing and older Australians,” he says. “The vast majority of Australia’s aged care services and their dedicated staff deliver outstanding care but our responsibility is to ensure there are no exceptions. “The Commissioners will be directed to inquire into all forms of Commonwealth-funded aged care services, wherever they are delivered, without in any way limiting the Royal Commission’s scope. “As the Royal Commission goes about its critical work, our rigorous policing and reform program will continue at full pace with the new Aged Care Quality and Safety Commission, upgraded Aged Care Quality Standards and record levels of funding support for older Australians. It was also announced that the Royal Commission will be based in Adelaide and it has been proposed that an interim report by 31 October 2019 and its final report by 30 April 2020.